Chin up, Black America, not all the news surrounding HIV/AIDS in the African American community is bad. So says Phill Wilson, founder and CEO of the Black AIDS Institute, the nationâ€™s first and only think tank devoted to the eradication of HIV among Black populations. Chin up, Black America, not all the news surrounding HIV/AIDS in the African American community is bad. So says Phill Wilson, founder and CEO of the Black AIDS Institute, the nation’s first and only think tank devoted to the eradication of HIV among Black populations. 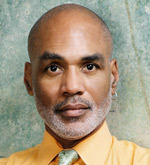 Wilson, who sits on President Obama‘s Advisory Council on AIDS and has been fighting for people of color to get their share of the financial pie via the administration’s first National AIDS Strategy, says a good chunk of the news concerning Black folks and the disease is actually good–an encouraging sign on World AIDS Day. These are just a few reasons why Wilson insists the Obama Administration’s new healthcare plan is so critical for people of color. “It is more difficult for us to have access to medicine and treatment for the disease if we have no insurance,â€ he explains. Ultimately, though, the responsibility for our wellness falls on us. See more from Wilson in the December 2010 issue of Black Enterprise magazine, on stands now.